Visit Wales 4 star rating and winner of the 2017 Swansea Bay Tourism Awards. With lovely views over sheep grazed parkland, indigenous wildlife and unrivalled walks straight from the front door, the cottage provides an active yet peaceful holiday location. Large lawn area directly outside for the kids to enjoy – it’s also the perfect spot for al fresco dining with garden furniture and a barbecue. The cottage features Welsh themed artwork by prominent artists. 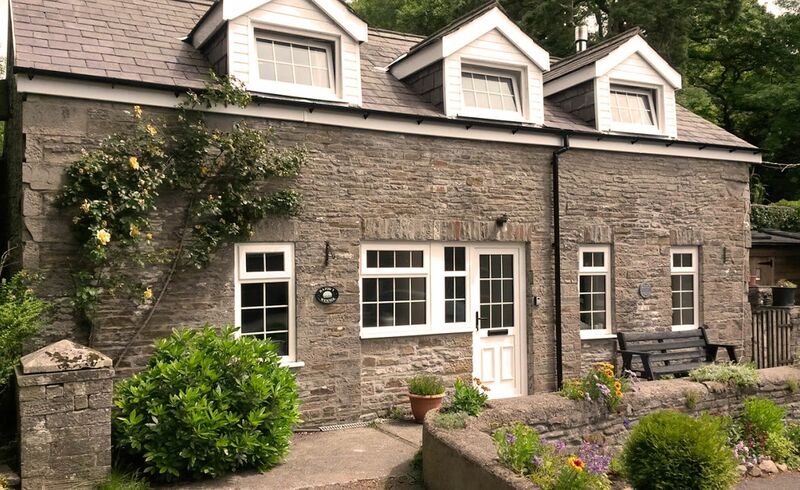 Ty Gambo (sleeps 6), Bwythn Y Saer (sleeps 4), Y Stabl (sleeps 4), Ty Cerbyd (sleeps 4) and Lloc Lo (sleeps 4) can be booked with Hafod Y Wennol to create a large property for family get-togethers or groups of friends of up to 26 people. 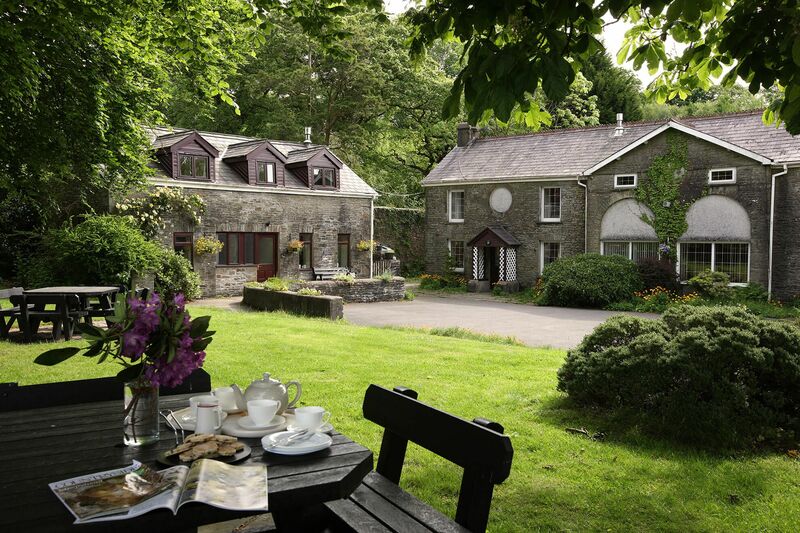 Soak up the peace at Hafod Y Wennol. This converted barn allows you to have your cake and eat it – a wonderfully peaceful countryside setting plus attractions and amenities on the doorstep. This rural barn is one of six family-run award winning cottages and barns at Plas Farm, the former home farm of the historic Plas Cilybebyll Estate, situated between the Brecon Beacons National Park and Gower Peninsula. Overlooking fields of sheep, Hafod Y Wennol (the Swallow's summer dwelling) boasts a stunning location in the courtyard of this historic working sheep and cattle farm. 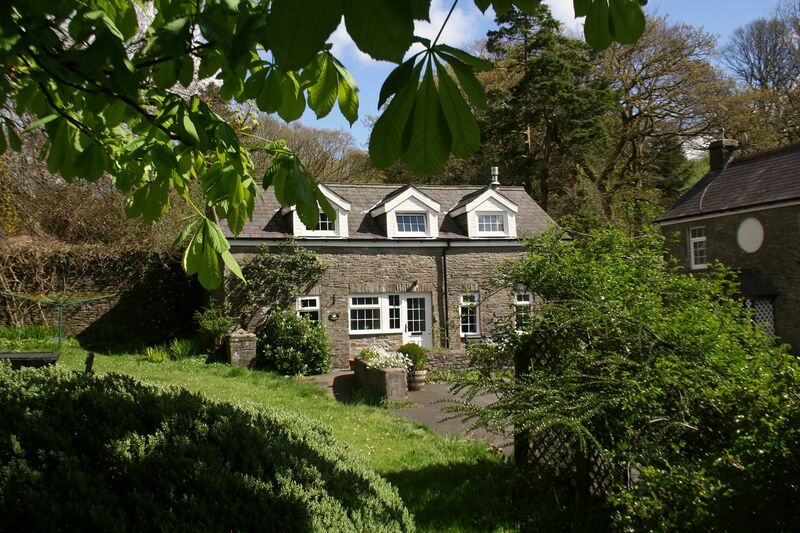 Guests at Hafod Y Wennol are welcome to explore 120 acres of private countryside including bluebell woodland, mountain streams and hillside pastures with panoramic views of the Welsh countryside – the farm trail starts right on the cottage doorstep! 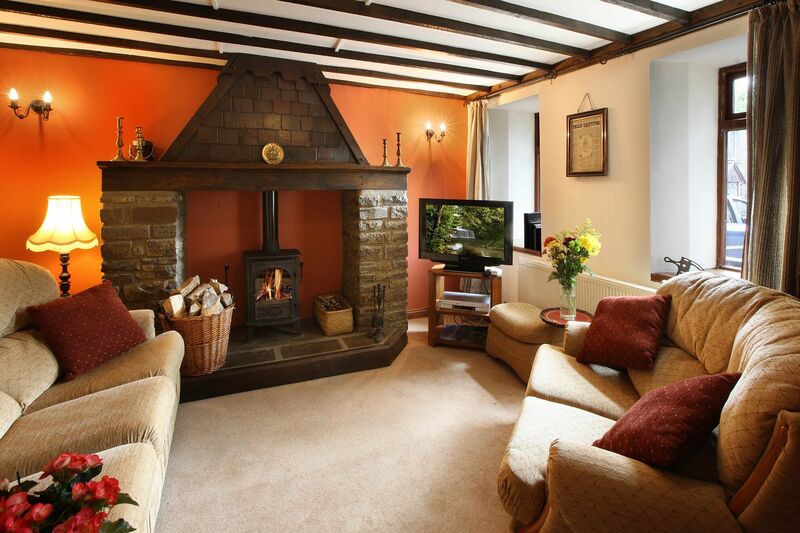 This cosy countryside cottage is a real home-from-home, decorated in traditional style. Leading off a central hallway, the farmhouse kitchen with a Belfast sink includes a sociable dining area, and the lounge has a cosy wood burning stove, perfect for chilly evenings. 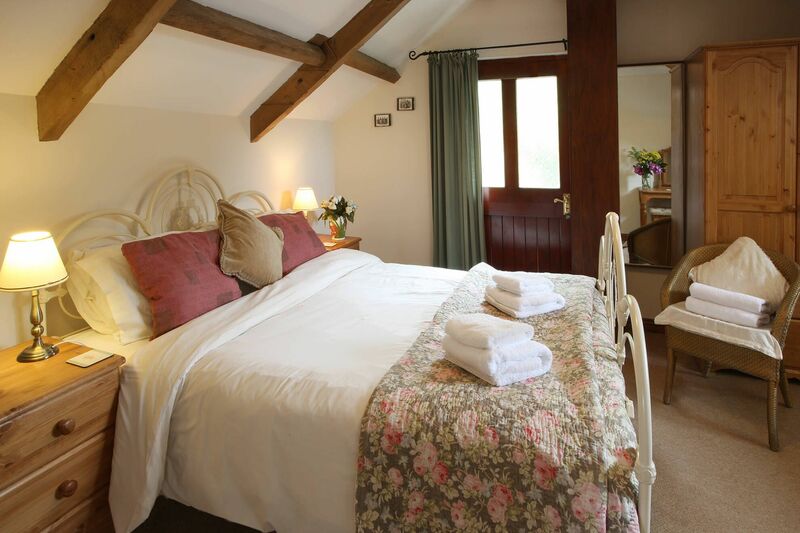 Upstairs a double and twin room with views over the courtyard and surrounding countryside are separated by a family bathroom with an over bath shower. Outside, the large lawn area has views over the sheep grazed parkland – kick back and relax under the giant beech trees and watch the lambs. Or chink glasses on the suntrap sun porch and set the steaks to sizzle on the barbecue. 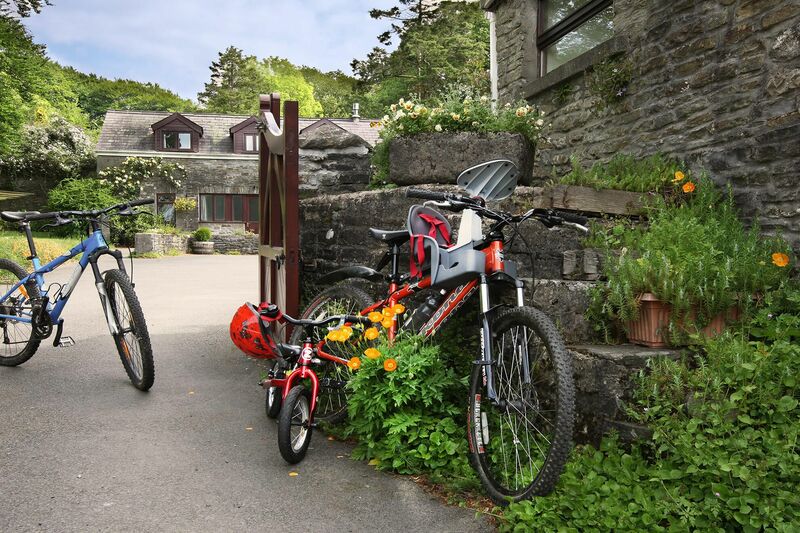 Hafod Y Wennol is close to modern amenities with pubs, restaurants and a 24 hour supermarket just over a mile away. Its unique location means that guests can explore the entire region with ease. And there are so many spectacular and world class tourist attractions on the doorstep it is hard to know where to start! Hafod Y Wennol is located around the courtyard with three other cottages; Bwythn Y Saer (sleeps 4), Y Stabl (sleeps 4) and Ty Cerbyd (sleeps 4). Ty Gambo (sleeps 6) and Lloc Lo (sleeps 4) are situated on the farmyard on the other side of the river. 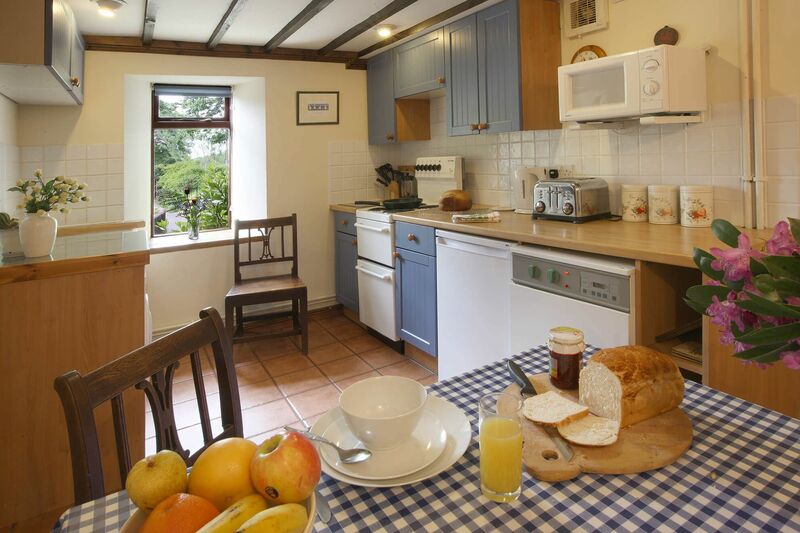 Cottages can be taken individually or in any combination to accommodate up to 26 guests. 2016-01-14 matt20uk, Bristol (Trip Advisor) "Stayed in January 2016 with our two young children. Fantastic peaceful location, just a short drive from the M4. The downstairs of the cottage had everything you could need, including a fully equipped kitchen, dining table, lovely sitting room, cloakroom. Upstairs featured a double bedroom, twin bedroom and bathroom. The rooms are large and ooze character with original features and interesting decorations and ornaments. The biomass-fired central heating was very warm. There was also a wood burning stove which we didn't use. Free wifi is available. A supermarket is a short drive away for any essentials. The owners are lovely and live on-site (in a separate farmhouse)."